We offer indoor and outdoor secure storage. Located on Marks Road just south of Boston Road. Indoor Storage Unit Sizes: 10' X 20' and 10' X 40' storage spaces. Outdoor Space to store your boat, RV, Company Truck or Van, Trailor or other large item taking up too much space in your yard or driveway. 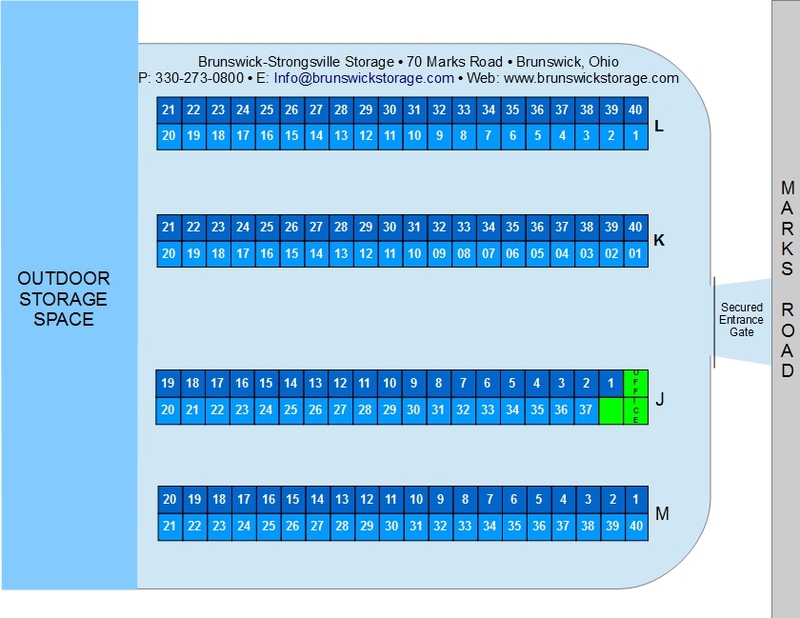 Marks Road storage facility layout for easy reference. Click to open/download a printable pdf.